We believe the Most Prepared and Informed Wins. If we work for you, we give you everything we have because we believe in you. When we author a title opinion, negotiate a transaction, or walk into a courtroom, we're confident we know more about the matter than anyone else in the room. You deserve the best work product from the people you entrust. We just so happen to be that law firm. 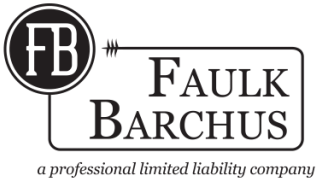 Faulk Barchus is a boutique law firm representing clients in a variety of energy, commercial property, real estate and business matters. Our objective is to provide our clients with efficient, cost-effective legal advice. We represent clients and perform title examinations and energy transactions in Texas, Oklahoma, New Mexico, Oklahoma, Kansas, Ohio, Colorado North Dakota and Wyoming. Co-founded by Brandon Barchus and L. Jordan Faulk in order to dedicate their careers to good, honest and hard-working clientele. L. Jordan Faulk uses his field experience as an independent landman, and focuses his legal expertise on title examination, due diligence and transactional matters, to accomplish these objectives. Brandon M. Barchus is a Board Certified Attorney in Oil, Gas and Mineral Law by the Texas Board of Legal Specialization, uses his extensive courtroom experience to help clients understand the potential implications and consequences of a client's present and future decision making. Our attorneys are highly skilled and experienced in a broad variety of energy law matters. If you retain us to litigate, negotiate or handle your legal issues, you deal directly with highly respected and reputable attorneys.